The Nafana people of Côte d’Ivoire and Ghana have developed a Bedu Secret Society only in the last century. It is probably a successor to the Sakrobundi Secret Society banned by the British due to the Society’s function of violently punishing supposed sorcerers. The Bedu society is charged with the less malignant function of village purification during a month-long new year’s celebration annually, as well as during harvest festivals and funerals. 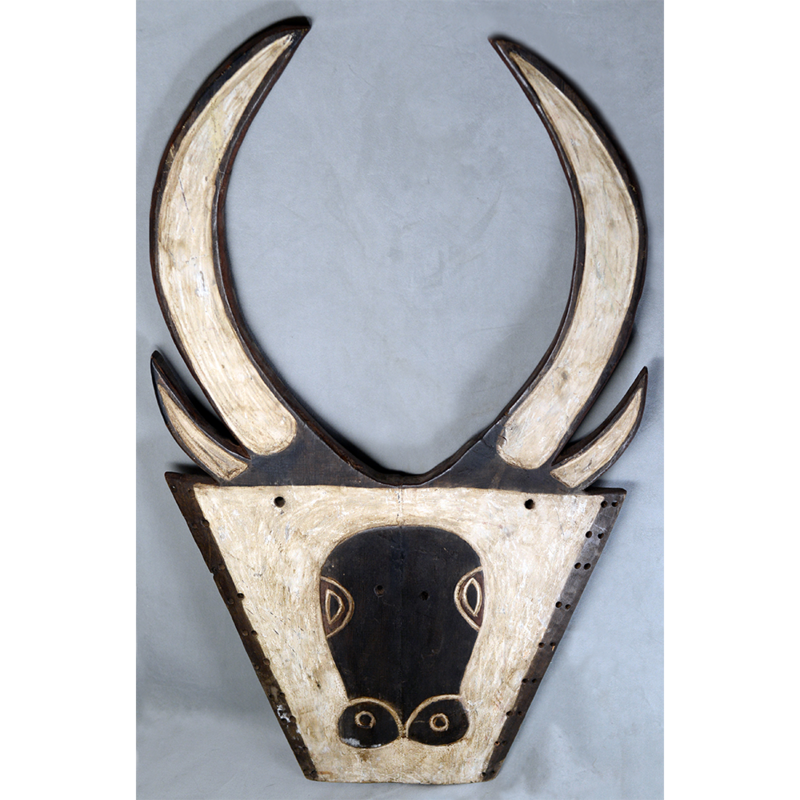 The bedu itself represents a mythical ox-like beast that, in Nafana myth, cured a sick child and later disappeared into the bush. Although these masks are worn over the face, their exceptional size requires them to be made of relatively light wood. 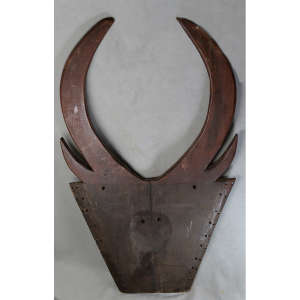 Bedu masks come in both genders, with the male masks (such as this one) having horns, and the female having a circle or disc on top. Most such masks of either gender are painted in kaolin clay with abstract geometrical patterns, checker marks and jagged fins being favored. Sometimes red, blue, or black pigments are used as well.